The air ducts of your home can look like the perfect place for bugs or rodents to hide in, particularly if they're left dirty with dust and debris, or be a great incubator for mold if moisture gets in. All of these can potentially cause damage to your home overall but are also health risks for your family. Mold spores are hazardous if inhaled, rodent waste can carry diseases, and insect waste acts as an allergen. 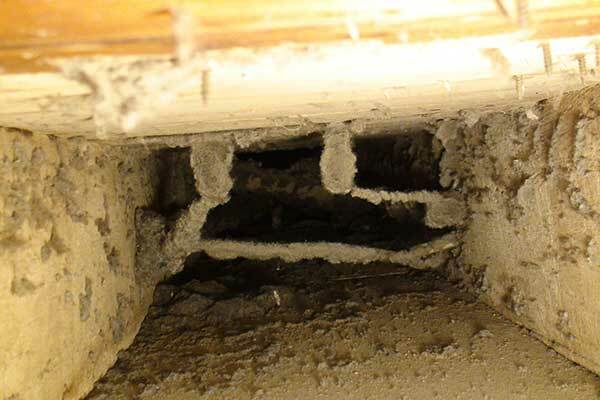 So, how can you tell if something's hiding out in your ducts? We're here to help! If you notice a bad odor when you pass by the vents of your home, particularly when the air is coming through them, this can be a big indicator that something's wrong. Rodent waste absolutely causes a nasty smell, and it may be even harsher if one got trapped and wound up dying inside. Mold will also cause an odor, but it will be more mildew-like and musty rather than sharp. 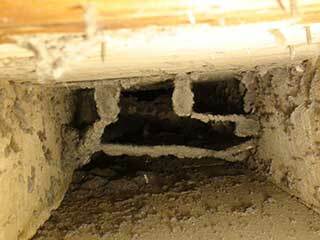 In either case, this can be your first sign that your ducts need to be looked at and potentially need an exterminator depending on what's inside. Pay attention to the vents of your home with visual inspections as well, as there may be more signals that something's up. If there are odd stains around the vent that are dark in color like browns or greens, this may be mold that's creeping outward. If they look greasier in nature, it's probably rat waste instead. Droppings may also be found around the area, as well as insect husks if they're the issue. You may even be able to pull out the vent itself and look inside for further confirmation of any of these things. Hearing sounds from behind your walls can either be you hearing rodents or otherwise as they make their way through the duct or hearing the damage they've caused to the duct itself. Rats will sometimes chew through the duct and leave behind holes that make noise as air passes through.